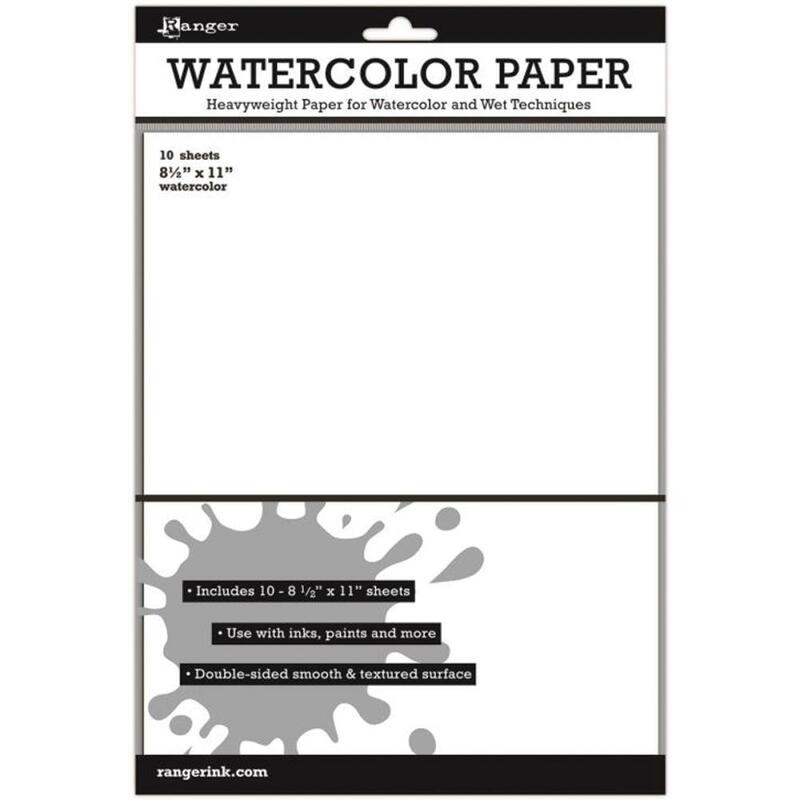 Watercolor Paper is a durable, heavyweight, dual-textured surface- smooth on one side and textured on the other. Ideal for watercolor techniques. Use with Tim Holtz Distress Paints, Markers and Inks; Dylusions Ink Sprays; and Claudine Hellmuth Studio Paints and Mediums. 10 sheets.